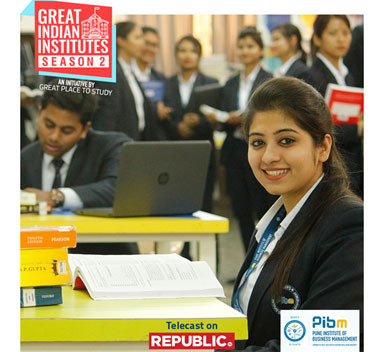 Once again, PIBM was featured by Great Indian Institutes as one of the Great Place to Study on Republic TV. 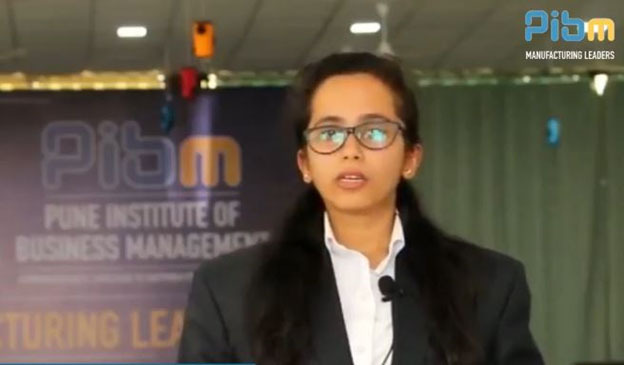 This episode highlighted how the Institute strives to skill the youth of our country as well as whole of Asia & the World to make them employable so that they can either “Join a Company or Start Their Own Company Thereby Creating More Jobs”. An MBA/PGDM is a 2 years post-graduate degree program. This program has gained the momentum in last few decades & emerged as one of the most popular post-graduate degrees. A survey stated, around 86% of the companies prefer to hire MBA graduates. The drastic rise in MBA/PGDM graduates hired by leading companies makes it one of the most sought-after program. Pursuing a management degree requires a tremendous investment of time, energy & money, so it is crucial to choose a right business school. The number of MBA/PGDM aspirants has phenomenally increased so is the competition. Which makes the process of selecting a business school all the more important.